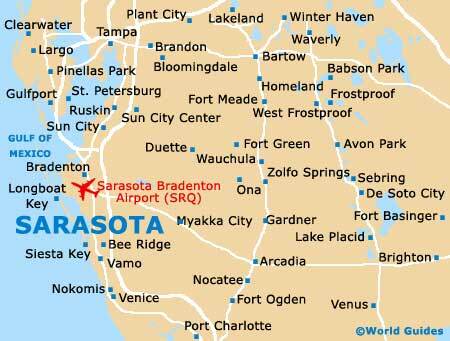 A welcoming and friendly city, Sarasota sits on the western coastline of Florida, within the county of Sarasota, where it is the county seat. 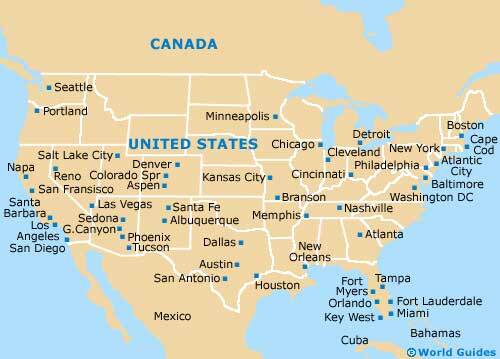 However, the county's biggest city is actually North Port, although it is only marginally larger. The city of Tampa lies roughly 60 miles / 97 km to the northwest of Sarasota, being connected by Interstate I-75. This route passes by Bradenton, Sun City, Ruskin, Apollo Beach, Riverview and Brandon. 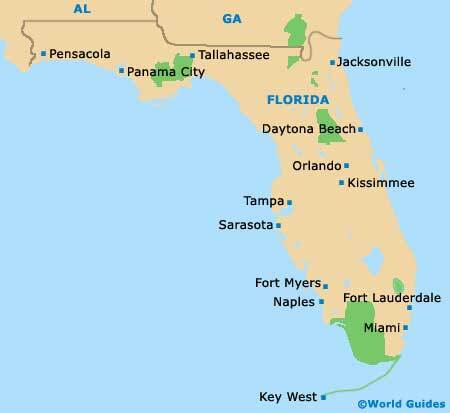 Alternatively, from Sarasota you can reach Tampa by driving through St. Petersburg, crossing Tampa Bay via the lengthy Sunshine Skyway Bridge (Interstate I-275). The current bridge measures in at just over 4 miles / 6 km and opened in 1987, being built at the cost of more than $240 million to replace the older partially collapsed bridge. Prominent thoroughfares in central Sarasota include Fruitville Road / 3rd Street, Main Street, Mount Street, Osprey Avenue and the Washington Boulevard. As its name suggests, the South Tamiami Trail (US-41) heads in a southerly direction, connecting McClellan Park, Cherokee Park, Oyster Bay and the Sarasota Memorial Park. For detailed maps of Sarasota, schedule in a trip to the Visitor Information Center, which is to be found on the North Tamiami Trail, close to the Boulevard of the Arts and just down the road from the Municipal Auditorium.